The RSS is known for its secrecy. The meetings of the organisation, either in Nagpur or in Delhi, are almost always held in camera. Those who take part are not even supposed to talk to journalists covering the event, making it extremely difficult to decipher the RSS decision-making process. But it isn’t as if the RSS hasn’t been conscious of the media’s importance. As early as 1947, the RSS launched its first English weekly, The Organiser, from Delhi. This RSS mouthpiece, where L.K. Advani started to work in 1960, was followed by many other publications, mostly in Indian languages (including Panchajanya in Hindi, initially UP-based, of which D. Upadhyaya was the chief architect). The RSS embrace of cybertech is to attract a middle class that’s averse to khaki shorts and saffron flag salutes at dawn. With time though, the RSS has shed its earlier reluctance to publicise its views in the mainstream or national media, evident from the increasingly important role of its spokesperson who is always a savvy pracharak. More important, the RSS has become increasingly keen to influence and infiltrate the mass media, which were rather hostile to it in post-independence India. Then, most journalists in the print media had what we can call a leftist orientation and Doordarshan as well as AIR were in the hands of the Congress, the party in power. No wonder the RSS was extremely happy at the appointment of L.K. Advani as Union minister for I&B in the Janata government (1977-79). Television appeared as a more effective means of ideologising after the popular success of the serials Ramayana and Mahabharata in the 1980s. Soon after, media persons like J.K. Jain—later a BJP Rajya Sabha member—rallied around the Sangh and produced videos. That was the time when the vhs offered alternatives to Doordarshan in the electronic media, obvious from the success of Newstrack and Eyewitness. In 1990-91, vans toured the countryside to show J.K. Jain’s video recording of the first assault on Babri Masjid by kar sevaks (a dozen were killed then). These showed policemen firing at kar sevaks, portraying them as ‘martyrs’ and enabling—along with other factors such as Mandal—the BJP to double its share of votes from 11 per cent in 1989 to 22 per cent in the 1991 elections. This isn’t a solitary instance of the RSS and the BJP exploiting the media for political purposes. They also harnessed the media for their electoral goals in Gujarat post-2000. Indeed, their master manipulator of images is Narendra Modi who, in 2002, had the bodies of the victims of the Godhra train fire transported to Ahmedabad and displayed on TV the day before the pogrom started. 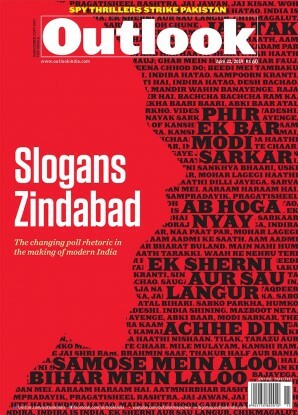 He then used the media to orchestrate the election campaign that followed the riots—one of his ads on TV began with the sound of a train pulling into a station, followed by the clamour of riots and women’s screams; then is heard the ringing of temple bells before it is drowned in the din of rapid firing from automatic rifles, a clear evocation of the Akshardham attack in Gandhinagar in September 2002. In 2007, Modi turned hi-tech, hiring US firm Apco Worldwide to promote his election image at $25,000 a month. In 2007, Modi turned high-tech during his next poll campaign. He hired US firm Apco Worldwide, which specialises in creating images of public figures through communication technology. The firm’s clients included the Nigerian dictator Sani Abacha; Nursultan Abishuly Nazarbayev, president for life of Kazakhstan; and ex-Russian oligarch Mikhail Khodorkovsky. The company promoted Modi’s image for $25,000 a month. Not only did Modi continue to use the mass media, including a TV channel, Vande Gujarat (the name was adapted from Vande Mataram), but he posted video clips on the web. One of these begins with a bomb blast, followed by sirens and dead bodies strewn around, and Modi threatening invisible terrorists with “Int no jawab patthar thi (A stone for every brick),” testifying to the politics of fear harnessing cyberspace for diabolic ends. 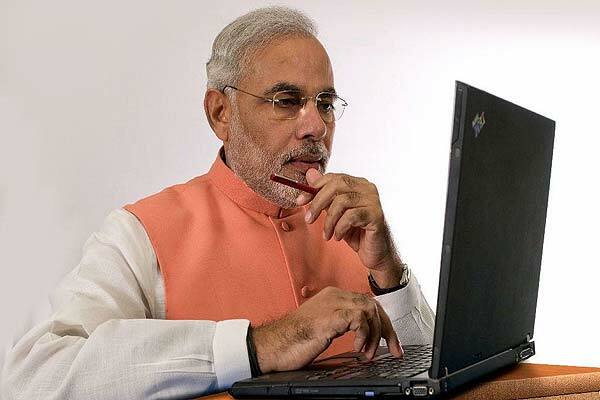 Modi also used the web to maintain a direct relationship with the citizens of Gujarat. With three laptops—one each for office, home and on his travels—he supposedly spends about four hours daily reading the 200-250 e-mails he receives. He is said to respond to at least 10 per cent of those; his bureaucrats take care of the rest. In many ways, he is imitating Indira Gandhi’s political style, whose new form of populism in the ’70s helped create the myth of establishing direct relations with the people. Through cyber populism, Modi is creating the illusion of being in touch with every citizen of Gujarat. He has also used mobile phones to send SMS and MMS to potential voters and the cadre. Gujarat is susceptible to this form of propaganda—14 million of its population had a mobile phone in ’07. Modi is exploiting technology like any modern politician does. Yet it comes as a surprise that the RSS should have adopted modern hi-tech methods in winning the hearts of Hindus, a method in sharp contrast to its shakha culture where personal relationships and a brotherly spirit are forged through drills and sports. But the emphasis of the RSS on cyber technology has a reason—it is only through it that the organisation can attract a middle class that’s averse to wearing khaki shorts and saluting the saffron flag at dawn. So what you have are cyber shakhas for the middle class, particularly the Indians in America, with whom the swayamsevaks can interact. Not only this, the RSS has sponsored websites, enabling their visitors to interact with swayamsevaks who help them make a sense of the world on a daily basis. The most important of these websites in the US is probably the Global Hindu Electronic Network. Clearly, the Sangh’s conscious effort is to harness the media to win supporters at the time of elections. It’s also to be in tune with the globalised Hindu community. It seems the RSS may forfeit, from its own point of view, the “character-building” quality of the old shakha technique for the shakha on cyberspace. The end of the old polity is come. The GOP wasn’t ready. The others were.